A mudroom isn’t the most glamorous space in your home, but if you’re looking to remodel to add functionality for you and your family, the designers at Factor can customize a mudroom that suits your unique needs. Just because it’s not glamorous doesn’t mean it can’t be beautiful; plus, knowing you have a dedicated space to store items, care for your pets, and prepare to leave the house without forgetting anything offers peace of mind. Some traditional home layouts already have a mudroom or laundry room. Whether it does or not, our designers will work around your floor plan to give you the mudroom you need. Here are just a few of the benefits of adding a mudroom to your home. Grab & Go: Hooks and cubbies give you space to store your most often used coats, backpacks, and more. We can build in areas for your keys, wallets, and phones so you don’t have to go digging for them at the last minute. 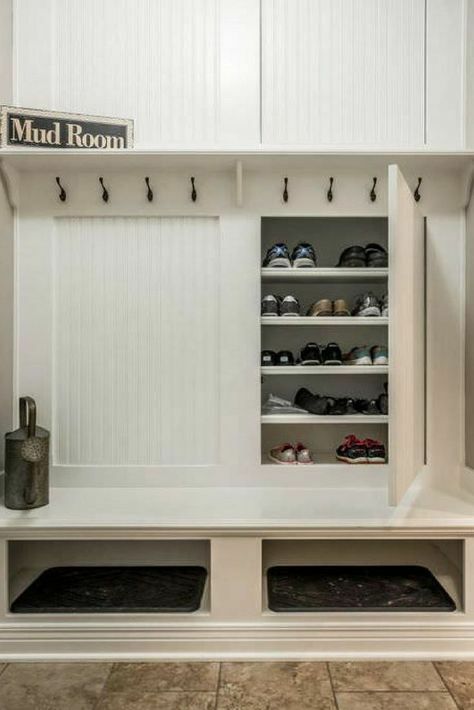 Daily Use Storage: Customized shoe shelves and closets keep those dirty soles out of the rest of the house; add a bench for ease in putting them on. Useful Walls: Chalk boards and calendars remind you of important appointments as you leave for the day; file storage can help you keep track of permission slips, completed homework, mail, and more. Add a mirror so you can take one last look at your hair or make sure there’s nothing stuck in your teeth. Gear Storage: From skiing to mountain biking to camping, a mudroom is perfect for cleaning, organizing, and storing your outdoor gear so it’s ready to go when you need it. 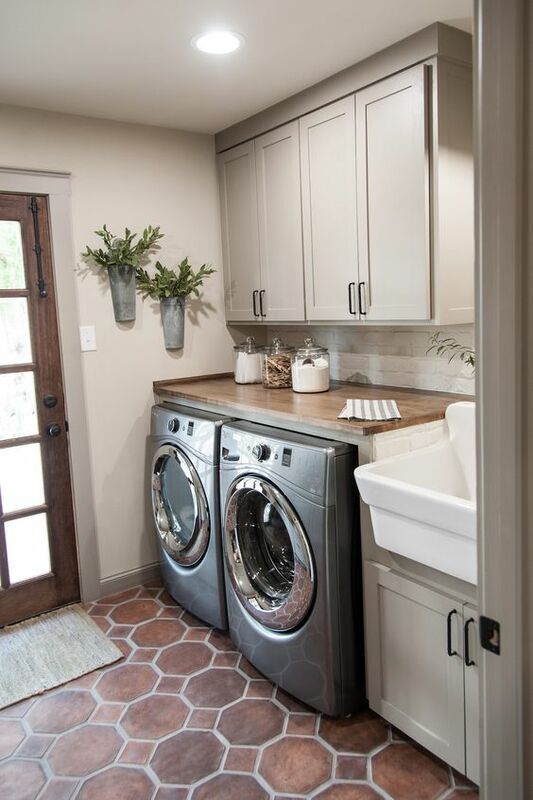 Get more use out of your mudroom space by making it a laundry room combo. Washer and Dryer: Stackable models save space! 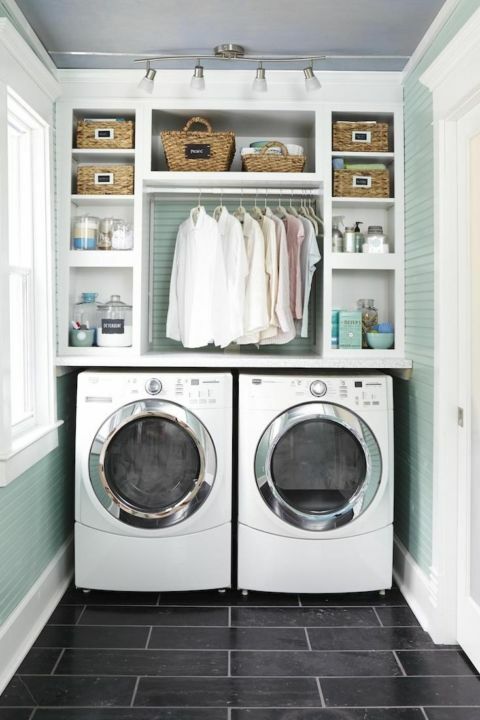 Include shelving for detergent, supplies, and all the items you pull out of the pockets. Hang Dry Station: Conserve energy by hang drying, or protect your most delicate (or shrinkable) clothing by letting it air dry. Ironing and Steaming: Keep all your equipment in one place and ready-to-use. Slop Sink: This is nice for delicate clothing items that need hand washing; it’s also handy for cleaning up any messes that are too dirty for a kitchen sink or too big for a bathroom sink. Your dog or cat is a part of your family, but they have certain needs you and your two-legged children do not. 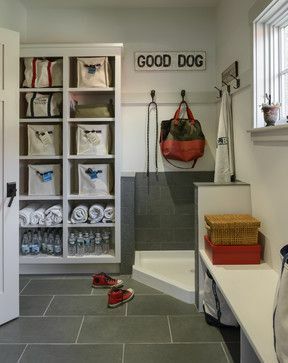 Centralizing your pet’s basic needs in the mudroom can help you keep the rest of your house clean and tidy. 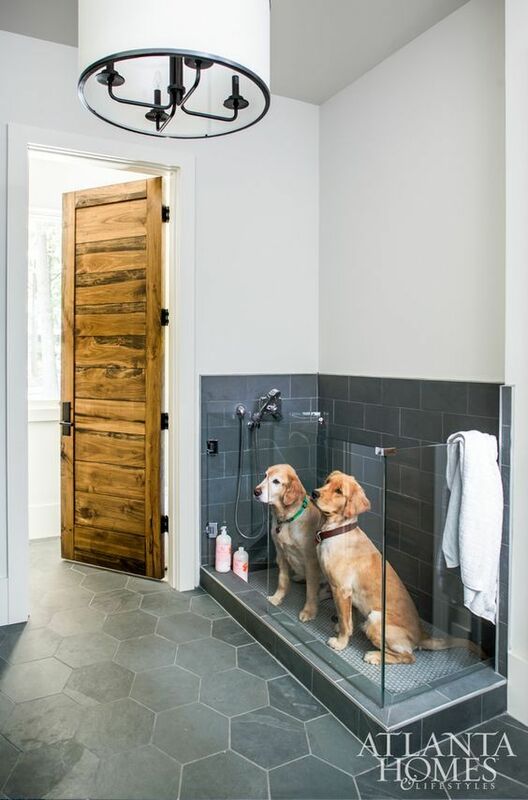 Dog Wash Station: A customized dog bath/shower saves your bathroom (and the path to get there) from muddy footprints. Since it’ll be easy to bathe your dog right there, you won’t hesitate about taking him outside in wet or muddy conditions simply because you’re not sure when you can get him to the groomer. Feeding Station: Customize a storage area for pet food and treats, and keep food and water bowls out of your way—but still easily accessible for your pets. Crates and Beds: Include a beautiful built-in crate or bed perfectly sized for your dog or cat. 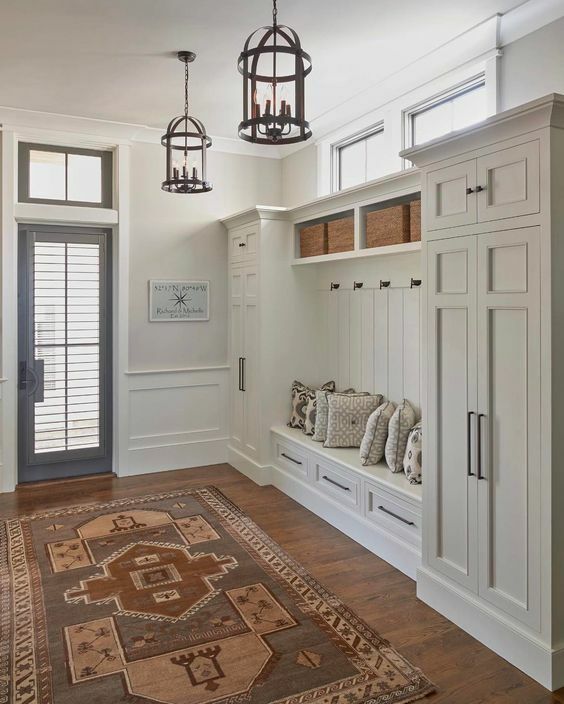 If you’re ready to add more functional space in your home, perhaps in the form of a mudroom, now is the time to contact the team at Factor Design Build for your design consultation.